"Transforming Your Organization's Leaders To Become The Leader They Always Wanted To Work For"
As more and more baby boomers get ready to retire, there is an impending vacuum in leadership that needs to be addressed. Companies that wait until their key employees retire to fill the void left in leadership are left scrambling, and business results suffer. Take control of your business destiny and partner with Eli to develop a talent management strategy and development program. Leaders in organizations who are serious about improving their leadership and the effectiveness of their organization. How does it help the organization? The program uses data driven leadership development methods that help participants make deep behavioral change in the one/two areas that would provide them the greatest ROI. Behavior changes are linked to key business drivers of the organization. Changes in behavior then lead to more effective execution of the organizational drivers. What is the Leadership Intensive? It is a nine month program that combines 360° feedback, seminar work, and individual coaching sessions. It is designed with the busy professional in mind. The program is executed on-site which allows leaders to maximize their time working. Three seminar days are spread over nine months with one every three months. 87% of participants stated that, “They have become more effective leaders as a result of participating in the leadership program. 85% of participants also state that, “They saw change in their leadership behavior as a result of working with Emerging Leaders Institute. 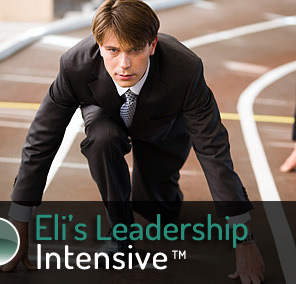 Emerging Leaders Institute Leadership Intensive is a game changer for leaders serious about their growth. It links the leadership behaviors to key business drivers for leaders in their area of influence.